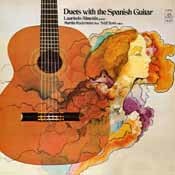 Salli Terri - "Duets with the Spanish Guitar"
from Hi-Fi & Music Review May, 1958 - ...a prize-winner in my collection. 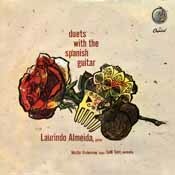 Laurindo Almeida's guitar playing captures the keen poignancy and rhythmic elan of Brazilian music with superb assurance and taste. He is joined by an excellent flutist, Martin Ruderman...and a mezzo-soprano whose velvet voice and astonishing flexibility has hardly an equal at present: a girl with the singular name of Salli Terri. She sings Villa-Lobos' Bachianas Brasileiras No 5 with a sinuousness and ecstasy which make this the finest modern version. - K.G.R. from the Seattle Post Intelligence, February 1958 - ...Miss Terri's voice is an ethereal one, and the three musicians make totally enchanting music together. Highly recommended. from the Oregonian, February 1958 - ...exploits the lyric and emotional possibilities of everything from the 5th Bachianas Brasileiras to a Chopin prelude...unbelievable singing. A fascinating assortment of mingled beauties. One of the most seductive accompanied guitar records ever produced, mono or stereo. This is the pre-crossover Almeida, back when his approach was pure and his art undistracted by commerce. He made several solo recordings for Capitol FDS that I plan to review in one swell foop in a forthcoming Enjoy the Music.com review. 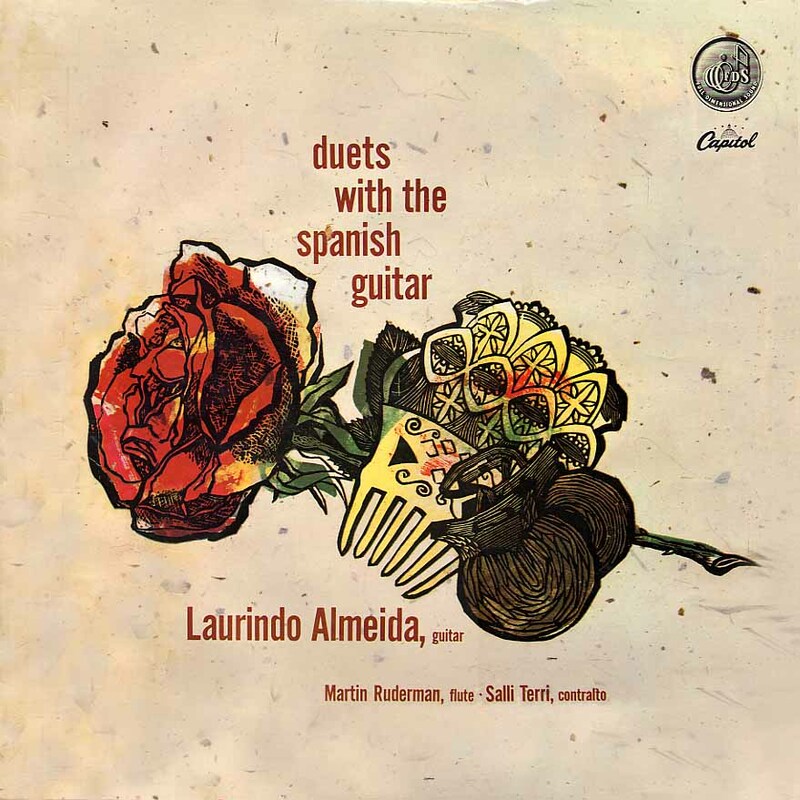 In this album, Almeida alternates duets with Martin Ruderman on flute and Salli Terri, vocals. 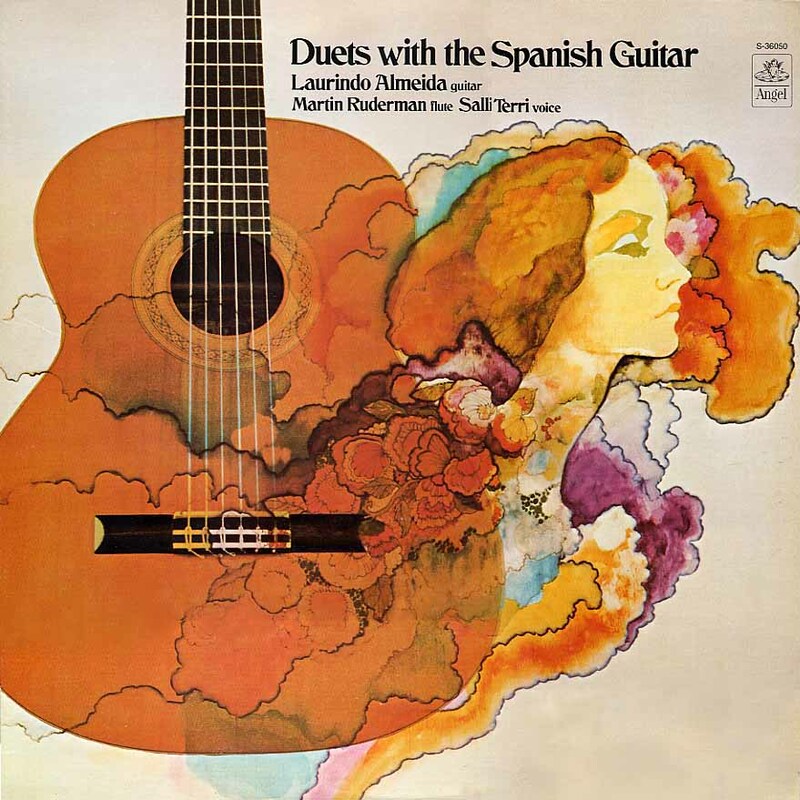 (Ruderman and Terri later joined Almeida, along with Sanford Schonbach, viola, and Mitchell Lurie, clarinet, on one of Capitol's most enduring albums "Conversations With The Guitar", issued in mono and stereo - but not FDS mono.) Ruderman's flute here is direct and uncorrupted - no overmiking, no extra reverb, no Galway piping. The program is a wide-ranging, tasteful and satisfying collection of pieces from Latin America and Europe. The composers include big names and small: Fauré, Ravel, Villa-Lobos, Ibert, Chopin, Ovalle and Gossec, among others. Ms. Terri's songs all emanate from pre-bossa-nova Brazil. Salli Terri, whom Capitol favored with several LPs with Almeida, made her first significant recordings as a soloist with the Roger Wagner Chorale. 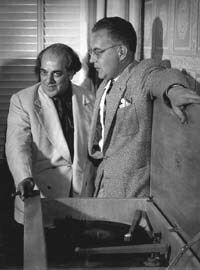 Entirely worth the price of admission is Villa-Lobos' Bachianas Brasilieras #5. Originally scored for voice and eight cellos, it's heard here in an arrangement by the composer for duet with guitar. Ms. Terri's ethereal pianissimo at the return of the wordless humming section gives new meaning to the overused expression "breathtaking." Her rendering of three Brazilian songs by Ovalle, Tres Pontos de Santo, combines heartfelt delivery with an agile technique that leaves your mouth permanently wide open. The vocals are not as purely recorded as I would have wished for, but the very modest reverb is suitable for the music, lending a mystical quality. All three of the first label versions are good (the original green label with the olive outer ring - hereafter designated the "olive FDS" label, the FDS side logo, and the "Capitol" side logo). The original olive FDS version, which also appears in a gatefold jacket, has a little less reverb compared to the FDS side logo, and is more nuanced in both guitar and voice. The later "Capitol" side logo feels the most processed of the three. info re Villa-Lobos from obituary for Salli Terri by Jeannine Wagner in the "Choral Journal"